Eazi-wrap is a flexible, strong bandage that is easy to tear at desired length and is water repellent. Light stretch for easy contouring of bandage to any leg area. 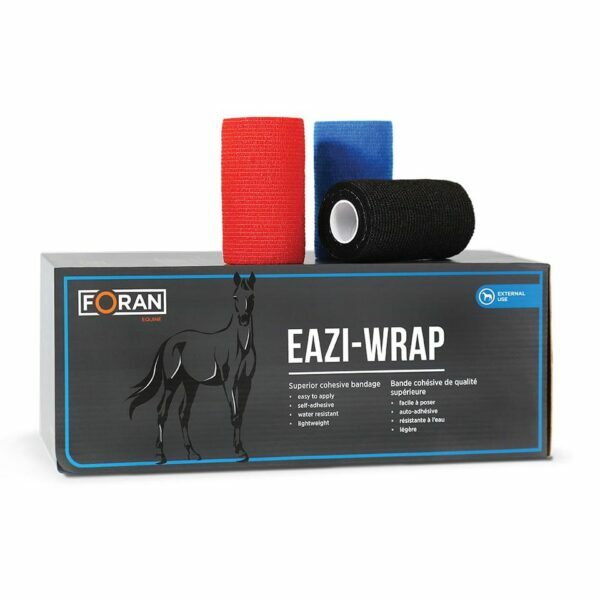 This stable essential is ideal for use with Foran Equine’s Veterinary Cotton Padding or Animal Eazi-care for bandaging and wound care. Available in red, blue and black. Use as a bandage for legs as required.